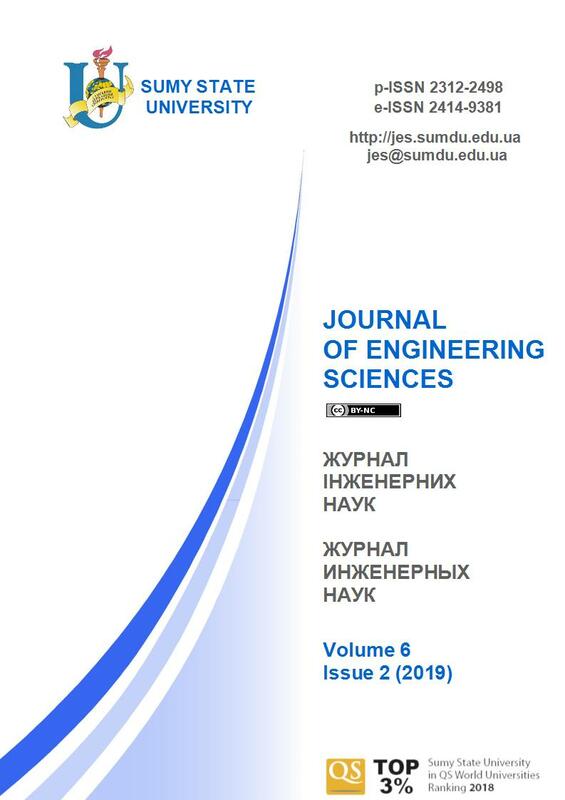 Author(s): Maydaniuk V. P., Arseniuk I. R.*, Lishchuk O. O.
Maydaniuk V. P. Increasing the Speed of Fractal Image Compression Using Two-Dimensional Approximating Transformations / V. P. Maydaniuk, I. R. Arseniuk, O. O. Lishchuk // Journal of Engineering Sciences. – Sumy : Sumy State University, 2019. – Volume 6, Issue 1. – P. E16-E20. Abstract. Fractal image compression algorithm is known for allowing very high compression rates (the best examples – up to 1 000 times with acceptable visual quality) for real photos of natural objects, which is not possible for other lossy compression methods. The main disadvantage of the fractal method is the low rate of encoding, which is due to the fact that in order to obtain high image quality for each rank block, it is necessary to perform a search of all domain blocks, and for each domain block, at least eight affine transformations must be performed. Despite the large number of works devoted to increasing the speed of fractal images compression, it is worth noting that this problem remains very relevant. The aim of the work is to find methods for increasing the speed of fractal image compression. Based on the analysis of known approaches of increasing the fractal compression rate, a proposed method is based on the representation of rank and domain blocks in the form of coefficients of two-dimensional linear approximation, which allows for each rank block to perform a rapid pre-selection of blocks by three approximation coefficients. With the selected blocks, the transformations that are characteristic for fractal compression are performed. Since the quantity of the selected blocks is considerably less than the total number of domain blocks, one should expect a significant gain in the sealing speed. The simulation done in the Python programming language showed that the proposed method can increase the fractal image compression rate by on average of 10 times compared to Arnaud Jacquin’s method without significant loss of image visual quality. Keywords: image compression, fractal encoding, two-dimensional approximation, image fractal properties. Welstead, S. (1999). Fractal and wavelet image compression techniques. Bellingham, SPIE Optical, Engineering Press. Fisher, Y., Jacobs, E. W., & Boss, R. D. (1991). Fractal image compression using iterated transform. Jacquin, A. (1992). Image coding based on a fractal theory of iterated contractive image transformations. IEEE Transactions on Image Processing, pp. 18–30. Ghosh, S. K., Mukherjee, J., & Das, P. P. (2004). Fractal image compression: a randomized approach. Pattern Recognition Letters, Vol. 25, pp. 1013–1024. Thomas, L., & Deravi, F. (1995). Region-based fractal image compression using heuristic search. IEEE Transactions on Image Processing, Vol 4, pp. 832–838. Maydanyuk, V. P. (2001). Metody i zasoby komp’yuternykh informatsiynykh tekhnolohiy. Koduvannya zobrazhen’. Vinnytsya: VDTU [in Ukrainian]. Kozhem’yako, V. P., Maydanyuk, V. P., Zhukov, K. M., Khamdi, R. R., & Pika, S. O. (1999). Fraktal’ne stysnennya zobrazhen’ pryrodnoho pokhodzhennya. Vymiryuval’na ta Obchyslyuval’na Tekhnika v Tekhnolohichnykh Protsesakh, Vol. 2, pp. 50–54. Kozhemiako, V. P., Maidanuk, V. P., Pika, S., & Zhukov, K. M. (2001). Speeding up of fractal image compression. Proceeding of SPIE, Vol. 4425, pp. 9–16. Maydanyuk, V. P., Lishchuk, O. O., & Korol’, D. C. (2017). Aspekty optymizatsiyi shvydkosti fraktal’noho ushchil’nennya zobrazhen’. Optyko-Elektronni Informatsiyno-Enerhetychni Tekhnolohiyi. Vol. 1(33), pp. 24–32 [in Ukrainian]. Maydanyuk, V. P., & Lishchuk, O. O. (2018). Pidvyshchennya shvydkosti fraktal’noho metodu ushchil’nennya zobrazhen’ za rakhunok aproksymatsiyi. Internet – Education – Science, pp. 7–9 [in Ukrainian].